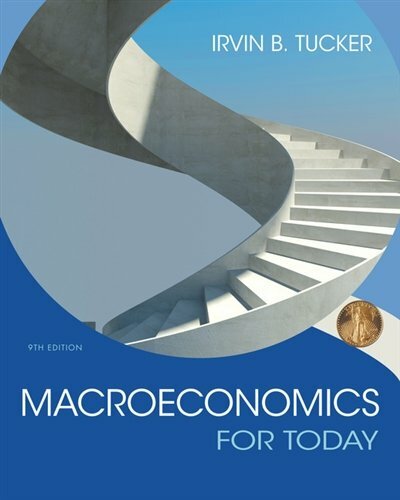 1305507142 -Help students visualize economics in action with the most pedagogically rich, complete text on the market: Irvin Tucker’s MACROECONOMICS FOR TODAY, 9E. This dynamic book offers a clear, engaging writing style ideal for students at all levels. Written by a national award-winning educator, MACROECONOMICS FOR TODAY provides a unique textual and visual learning system that presents and reinforces core concepts, then immediately assesses comprehension to ensure understanding. The author highlights the latest information on economic growth, income distribution, federal deficits, environmental issues, and other economic developments while applying concepts to everyday life.